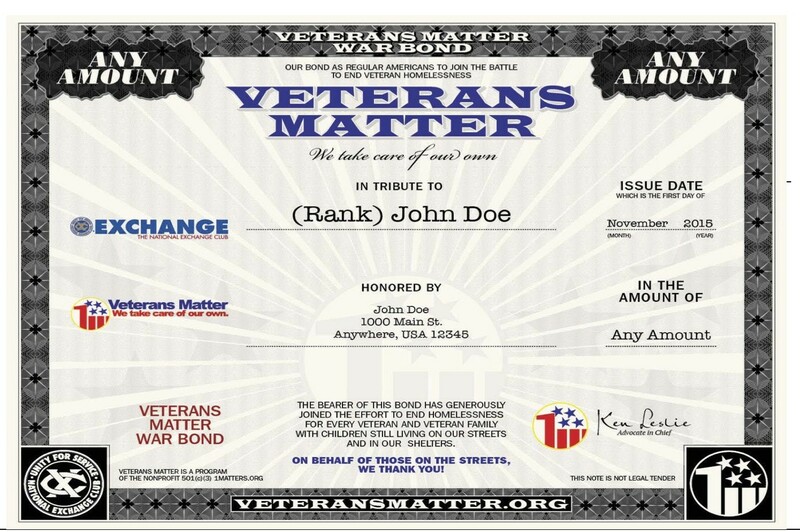 As you may know, the National Exchange Club has partnered with Veterans Matters to house all homeless veterans. Veterans Matters is a group of regular Americans who take care of their own veterans who need financial help to become permanently housed. Many “eligible” veterans receive assistance from the Department of Housing & Urban Development (HUD) and then the Veterans Association (VA) social workers help them get back on their feet. But as we all know this is not enough. 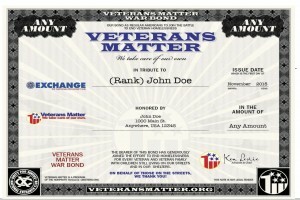 Click here for a printable War Bond Order Form. This allows you to make a donation in honor of a Veteran.